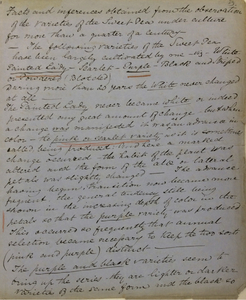 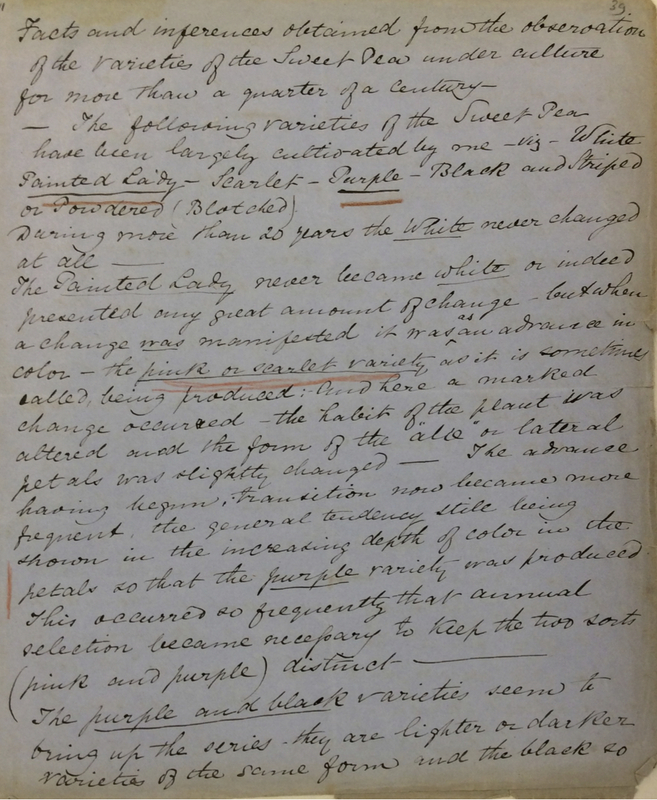 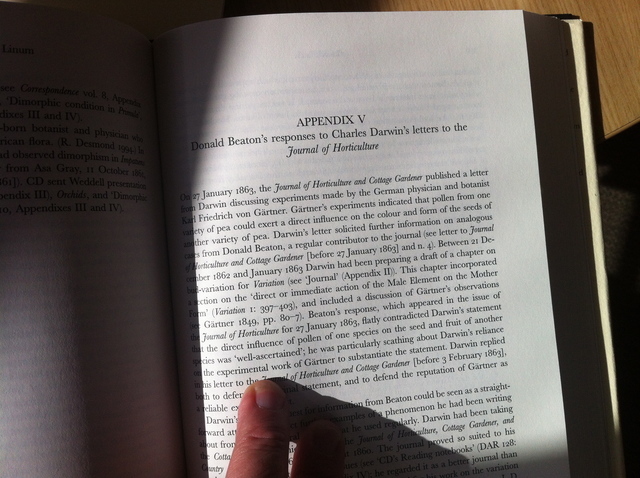 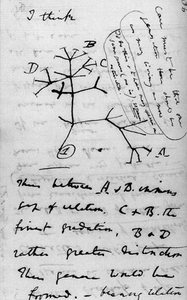 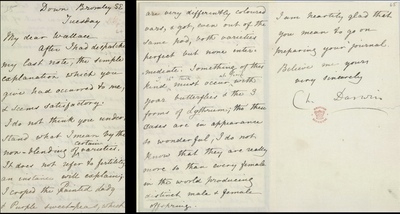 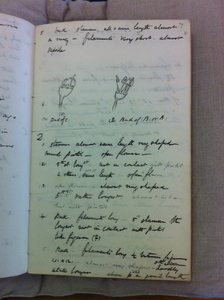 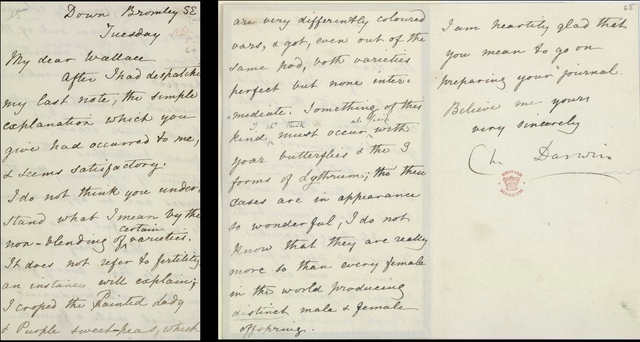 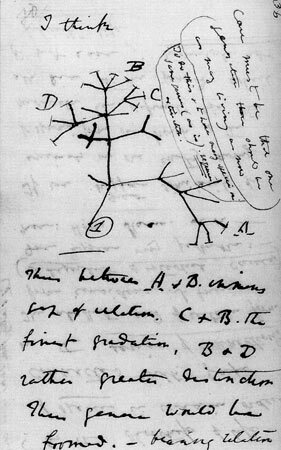 MacKinnon-Day researched Charles Darwin archives, methods and ways of testing theoretical questions. 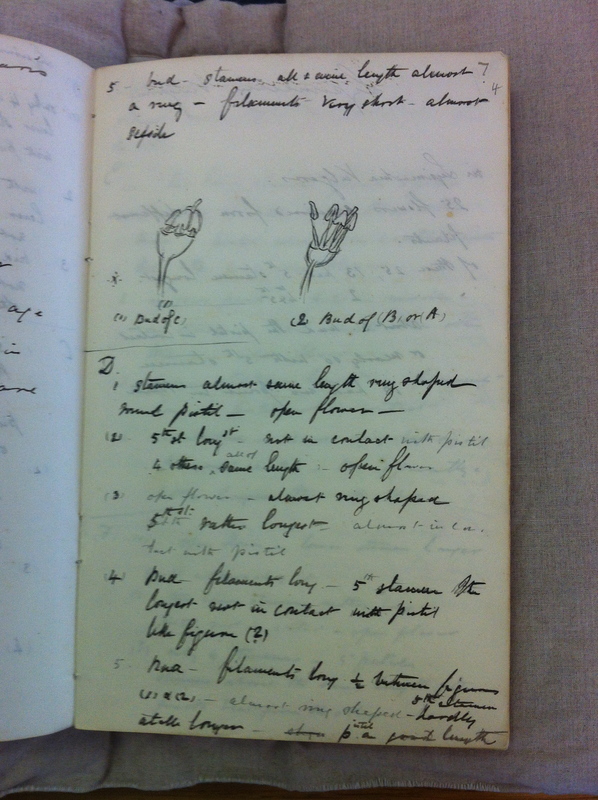 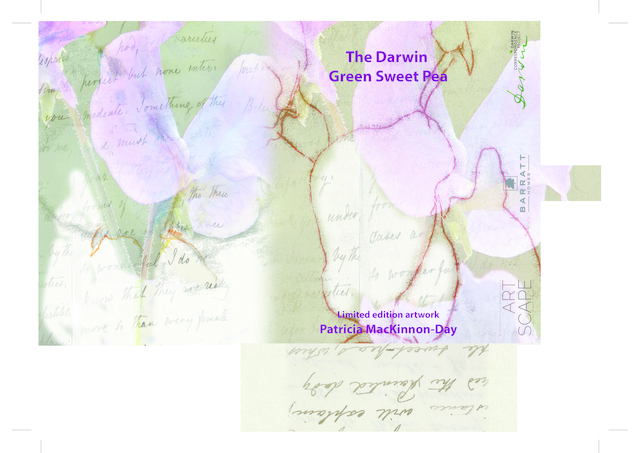 She worked closely with Roger Parsons ( the UK’s leading sweet pea horticulturist) to emulate Darwin’s sweet pea experiment (1855), blending two species into one. The public artworks produced for the Darwin Green housing development are The Darwin Green Sweet Pea, comprising a newly propagated seed made for distribution to incoming tenants and Origin; an etched and printed glass plate permanent light installation, visually critiquing and re-appropriating Darwin’s archival drawings, experiments and his use of phototropism. 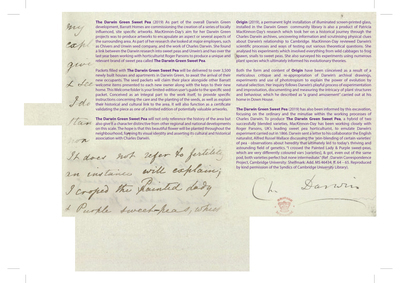 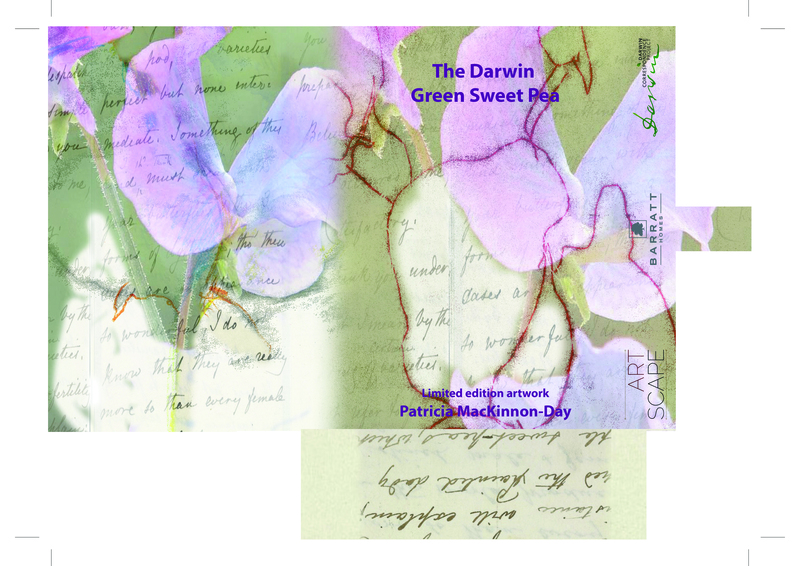 Darwin Green sweet pea (2019) and Origin (2019) art works have been informed by this rigorous research and archival excavation, focusing on the minutiae within the working processes of Charles Darwin. 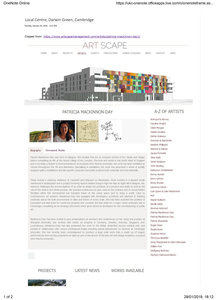 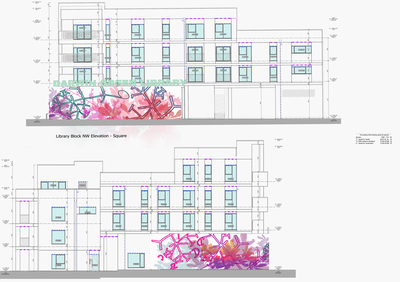 The two public artworks will embed this Darwinian ethos into the new Darwin Green development. A Welcome Folder illustrating the research process will be distributed to new tenants. The Darwin Green Sweet Pea, once planted throughout the area, will give the new development a distinct visual identity. 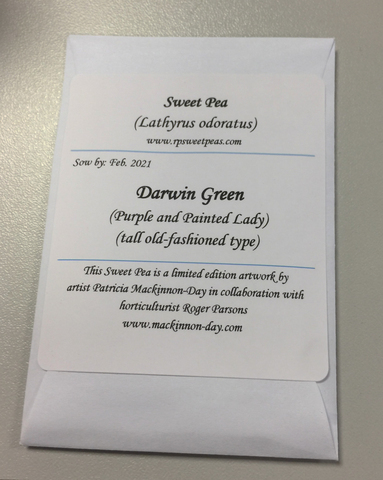 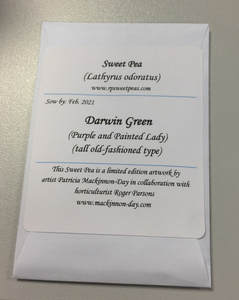 Having been created using Darwinian research methods this hybrid sweet pea will have been specifically produced for the residents of Darwin Green to enjoy. 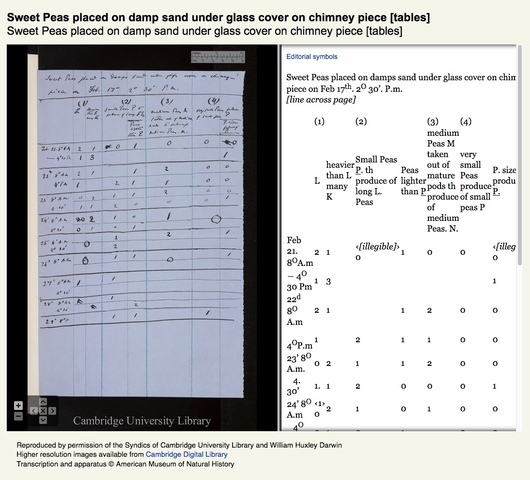 A publication will capture and record ‘living memories’ of Cambridge residents who maintain an allotment, explaining their different approaches, experiments with regards to self sufficiency and home food production. Also in the Welcome Pack, there will be a publication that offers local knowledge and evidence about Cambridge allotments and their history which dates back to Anglo – Saxon times. This will include the possibility of renting a local allotment , thereby carrying on this tradition and further embedding Darwinian ideas as a contemporary process. This aspect of the project will contextualise this relatively soulless housing estate within a rich cultural layer of social and political history.